Children are curious to discover the world around them. Part of that discovery takes place through their ears. However, children with hearing loss need more assistance to learn words and develop social and language skills. The earlier they get help, the better. So-called incidental learning occurs when children overhear what is being said around them, rather than through direct teaching. Therefore, it is essential that children are able to extract speech from background noise. Oticon Opn Play gives your child with hearing loss the right conditions to make sense out of sound. Oticon Opn Play gives your child 360º access to the world and helps your child differentiate between meaningful sound and irrelevant disturbing sound. 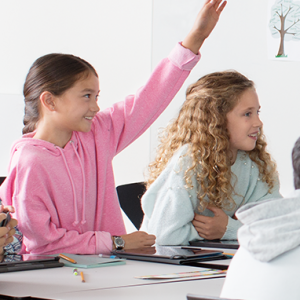 New technology improves speech understanding in noisy environments and supports incidental learning by giving your child access to multiple speakers in the environment. Before Oticon Opn Play your child could be either overloaded with access to all sounds and noise whether relevant or not, if fitted with traditional omni directional technology. Or they would be fitted with traditional directional technology which closes down sounds and restricts the opportunity to learn. 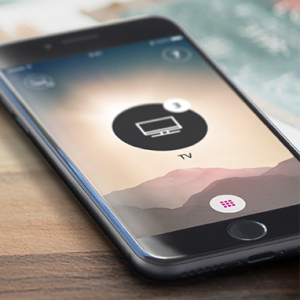 Oticon Opn Play marks the change from listening to the world, to truly making sense of the world. The groundbreaking innovation lets your child enjoy a full, balanced soundscape. 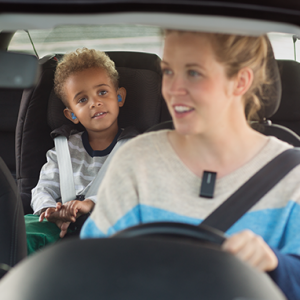 The OpenSound Navigator™ feature opens up your child’s world. It gives your child 360° access to the world and helps your child differentiate between meaningful sound and irrelevant disturbing sound, without reducing environmental sounds important to incidental learning and safety. OpenSound Navigator makes it easier for the brain to decide who and what to listen to and to pay attention when needed. This is a great support when your child is in school, on the playground or in traffic. Test results show that the groundbreaking technology in Oticon Opn Play offers up to 30% improvement in speech recognition – even when facing away from the person talking. Since children are lively and may not always face the person speaking this is a great advantage. 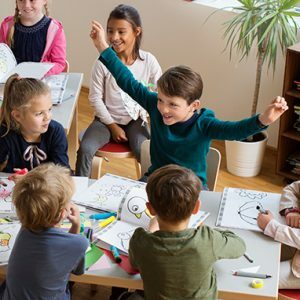 Just as significantly, Oticon Opn Play also reduces the effort that children need to make in order to listen, allowing them to use more effort on other activities such as learning. A well-fit hearing aid is key to optimal language development and learning. Up until now, managing feedback often required a compromise between providing your child with optimal amplification or avoiding feedback (the high pitch whistle). OpenSound Optimizer™ changes all of this**. With the groundbreaking OpenSound Optimizer, hearing care professionals can now fit your child with optimal gain without the risk of the whistling sound. This provides your child with increased comfort. 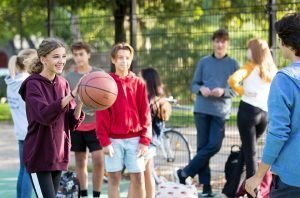 Giving children the amplification they need can cause annoying whistling sounds when something comes too close to a hearing aid. This is called feedback. Growing ears and situations where children play, hug or cover their ears with things like hats, can create this annoying sound. It used to be challenging to manage – until Oticon Opn Play. The breakthrough proactive technology in Oticon Opn Play prevents this feedback before it occurs without compromising sound quality and clarity**. This allows your child to easily follow conversations, which is essential to language development, but won’t have to worry about annoying “squeals”. Oticon Opn Play connects seamlessly with modern smartphones and tablets. 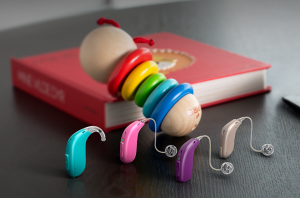 With the optional ConnectClip your child’s hearing aid turns into a high-quality headset. This gives your child access to wireless streaming for music, movies, phone calls and more from smartphones, tablets and laptops. 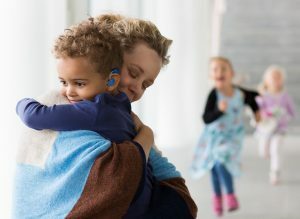 Oticon’s ConnectClip remote microphone makes it easier for your child to communicate with friends and family where distance or noise are involved. This includes the classroom, in the car, at the playground or if you are walking your child in a stroller. It can be a challenge for your child or teenager to hear the voice of the teacher in noisy classrooms and lecture halls. 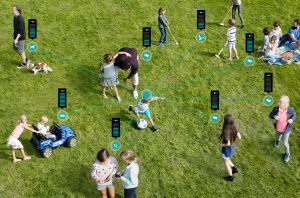 Amigo FM is designed to overcome the effects of distance and noise and catch as much instruction as possible. The app offers a wide range of features that add to the outstanding audiology of Oticon Opn Play. It makes it easy to check the battery status and lets your child or you adjust volume and switch between programs, settings and more. The app also includes a “find my hearing aid” feature if hearing aids are misplaced. You and your child can choose between four different styles and a range of colors. All are designed to open up your child’s world and give your child unequalled support. Oticon Opn Play miniRITE R hearing aids are available with a stylish state-of-the-art charger and long-lasting rechargeable batteries. All your child needs to do is place the hearing aids in the charger for three hours, for a full day of hearing, including streaming. Oticon Opn Play offers outstanding hearing care without compromising your child’s safety and well-being. We’ve developed essential protection to help keep the battery out of reach of curious fingers. Oticon’s hearing aids are IP68-certified to ensure dust- and water-resistance. They are able to withstand humidity and varying temperatures.